Astrophysicist Ángel R. López-Sánchez writes on our Star at his blog The Lined Wolf (Astrophysics, Astronomy, and Science) Thanks, Ángel. How many words are out there? To date, we know the existence of 1958 planetsorbiting around stars different to our Sun. These objects are defined as “exoplanets”: astrophysicists estimate that our Galaxy, the Milky Way, would host trillions of planets. One of the planetary systems that the IAU proposes to give proper name is that located around the star mu Arae (μ Arae). Mu Arae is a star similar to the Sun, located at around 50 light years from us, in the Ara (the Altar) constellation. Mu Arae is slightly older than the Sun (astronomers estimate it has an age of 6.3 billion years), it around 10% more massive than the Sun but around 90% more luminous that the star of the Solar System. We have know for many years that Mu Arae has four planets: mu Arae b, c, d and e. The Sociedad Española de Astronomía (Spanish Astronomical Society, SEA) is promoting the proposal of names given to the star mu Arae and its planets by the Planetarium of Pamplona(Spain). 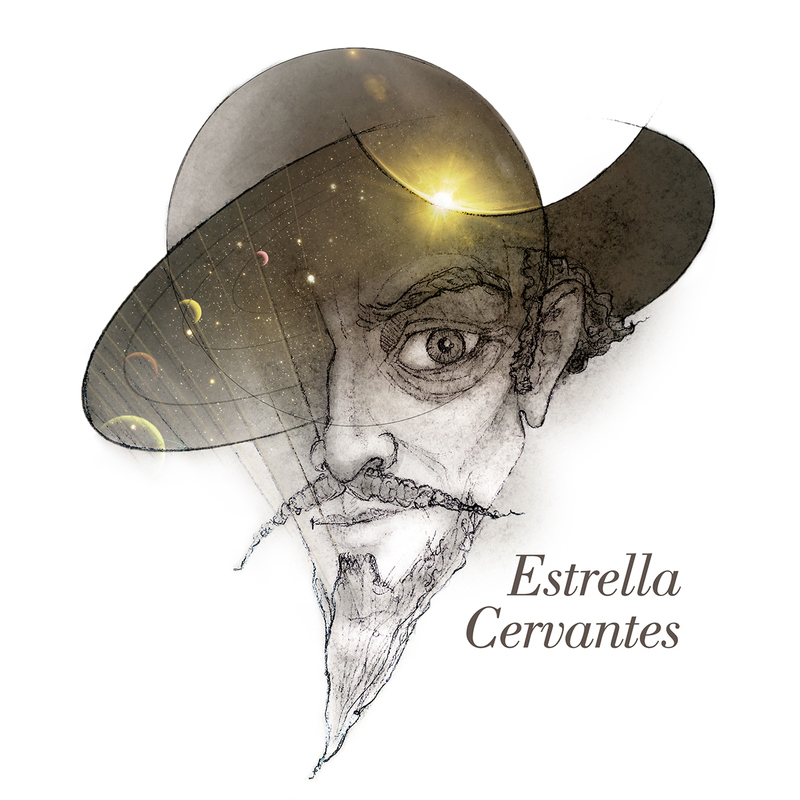 They proposed to name mu Arae as Cervantes, and its planets with the names of the main characters of the Quixote: Quijote (mu Arae b), Dulcinea (mu Arae c), Rocinante (mu Arae d) and Sancho (mu Arae e). 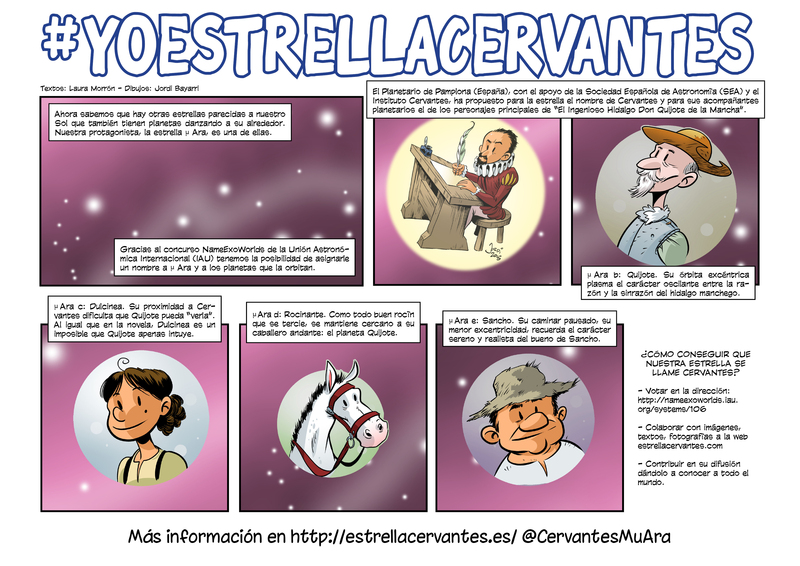 This proposal, with the hashtag #YoEstrellaCervantes, is also supported by the prestigious Instituto Cervantes, the public Spanish institution that promotes the Spanish language and culture around the world. The “Instituto Cervantes” has headquarters in 90 cities of 43 countries, Sydney included.